'Ello lovelies! It's been quiet around the blog for the last week or so (the day job always seems to get in the way *sigh*) but, have no fear. 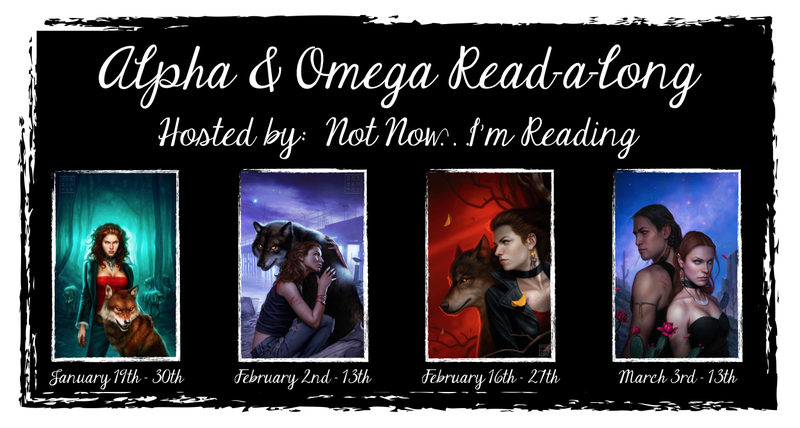 The Alpha & Omega Read-a-long is still moving ahead as scheduled. It would take wild horses to drag me away. Instead of doing a discussion post on Friday I'm going to host a Twitter chat on Friday night at 9:30pm EST (CZT) (unless you guys prefer Saturday morning). I'm good on either day so drop me a comment with your thoughts. Hope you guys are enjoying Hunting Ground. Can't wait to see what you all thought. LOL! I'm on the east coast and even 9am is too early. Plus it's Valentine's Day and I don't want to interrupt any day plans any of you coupled up folks might have. Hopefully you'll be able to join us tonight.